Fifty days of lectures, discussions, and debates about the future, as part of EXPO 1: New York at MoMA PS1. Mierle Laderman Ukeles will ask whether we can design modes of survival -- for a thriving planet, not an entropic one -- that don't crush our personal and civic freedom. The first part, a seminar, taking place at 2 p.m., will be a discussion of a historical speculation on the future—a short text or other work that the speaker has found generative. The second part, a talk or lecture, taking place at 4 p.m., will present the speaker’s own speculation on the future, to be followed by a Q&A. Weekday events are unticketed and free with museum admission. Mierle Laderman Ukeles is a New York City-based artist known for her feminist and service oriented artwork, as part of tikkun loam In 1969 she wrote a manifesto entitled Maintenance Art—Proposal for an Exhibition, challenging the domestic role of women and proclaiming herself a "maintenance artist". 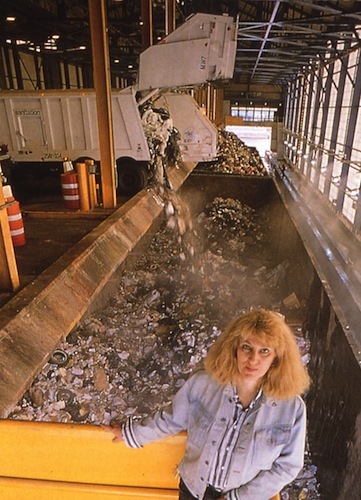 One of her most well-known projects Touch Sanitation (1970–1980), involved shaking hands with more than 8,500 workers in the New York City Department of Sanitation while saying "Thank you for keeping New York City alive." She is represented by the Ronald Feldman Gallery in New York.